SERUM NEOPTERIN IS NOT RAISED IN SYPHILIS POSITIVE BLOOD DONORS. KAUSAR ABBAS SALDERA BMSI, Karachi. NOOR-UN NISA MEMON JSMU, Karachi. HINA RASHID LNH & MC, Karachi. BEENISH IQBAL LNH & MC, Karachi. Objectives: To assess serum Neopterin levels in blood donors of local population and to study its relationship with transfusion transmitted infections (TTIs) including syphilis. Study Design: Descriptive cross-sectional study. 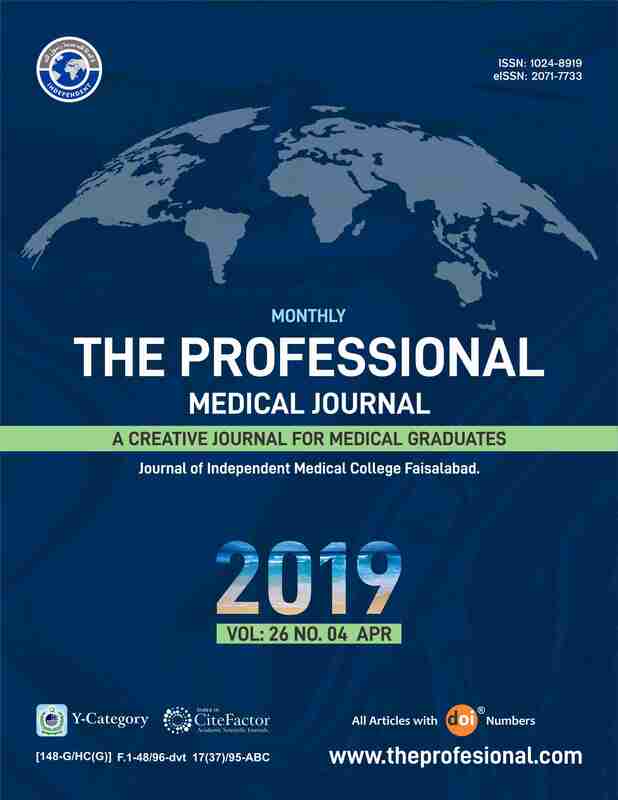 Place and Duration of Study: This study was carried out in the Department of Physiology LNMC in collaboration with Basic Medical Sciences Institute, (BMSI), and Jinnah Post Graduate Medical Centre (J.P.M.C.) Karachi, from Jan to July 2015.”Methods: Total 174 blood donors were included in the study through random sampling technique. They were screen through the standard procedures used for screening at the JPMC blood bank for WHO recommended diseases. Neopterin was estimated using ELISA. Data analysis was performed using SPSS version 21. Chi square and ANOVA were applied at a confidence level of 95%.”Results: Neopterin level in the sera of syphilis positive blood donors was 5.86 ± 0.78 nmol/l which was within normal range below the cutoff value of 10 nmol/l. Neopterin content in the serum of blood donors who were negative for transfusion transmitted infections was 6.23± 2.19 nmol/l as compared to blood donors testing positive for transfusion transmitted viral infections showing high Neopterin level of 15.10 ± 4.93 nmol/l. (P value 0.001).”Conclusion: Neopterin levels were found to be within normal limits in blood donors testing positive for syphilis However in blood donors with transfusion transmitted viral infections serum neopterin levels were elevated. KAUSAR ABBAS SALDERA, BMSI, Karachi. NOOR-UN NISA MEMON, JSMU, Karachi. HINA RASHID, LNH & MC, Karachi. BEENISH IQBAL, LNH & MC, Karachi.